Magix Music Maker is a commercial digital music editor, which was designed by the company Magix for the consumer sector. Howevet it has no built-in auto-tuning function, that is to say Music Maker users requiring the autotune effect must use a VST-compatible third-party pitch correction plug-in. Here is the instruction to tell you how to get antotune in Magix Music Maker. 1. Download and install Autotalent. Run this program. 2. Go to main menu, click “File” and select “Preference” to open the Music Maker’s preferences dialogue. 3. Click the Directories tab which shows the changes to a list of hard drive locations associated with different plug-in types and other locations on your drive relevant to Music Maker. 5. Right click Music Maker’s arrangement area and select “New Track” from the context menu. Select Audio and click “OK.” Doing this is to create a new track. 6. Press “M.” Music Maker’s mixer screen appears. 7. Click the disclosure arrow in the first slot labeled FX in the new track’s channel strip. A pop-up menu lists all scanned and available VST effect plug-ins. 8. Select Autotalent from the list. 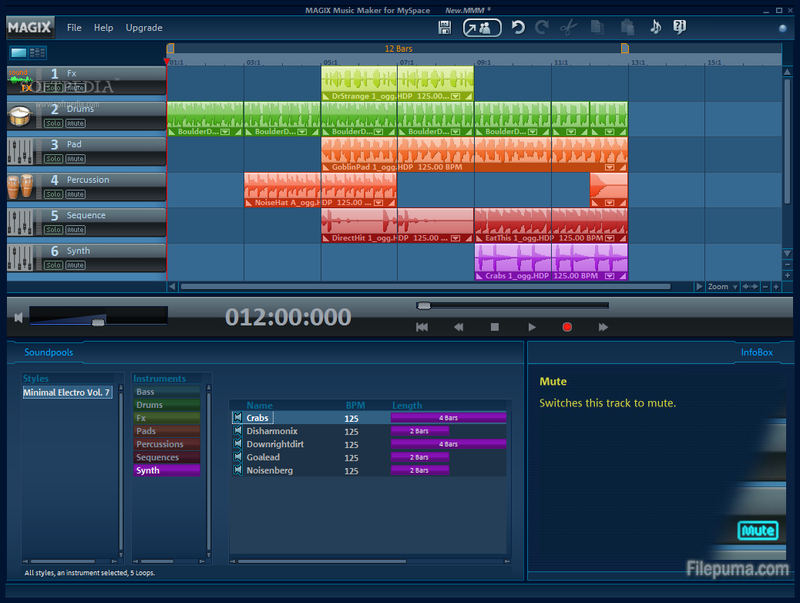 Music Maker loads the plug-in and displays its interface. You can now use the autotune effect on this track. © 2016 Filepuma.com All rights reserved.